Community Integrated Care has an incredible history, and a bright future too as one of the social care sector’s leading providers. We have just celebrated 30 life changing years. Our founder, Dr David Robertson campaigned to ensure people with care and support needs had the right to live full lives within their local communities, moving away from long stay hospitals that restricted liberty and choice. 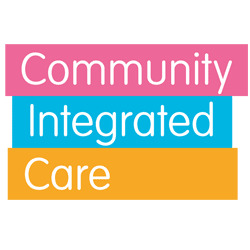 On this day, on 15th March 1988 Community Integrated care was born! Today our charity continues to innovate and work at the forefront of our sector, developing an ambitious organisational strategy that is predicated on empowering the people who work for us, those we support and the communities we work within. We are committed to delivering outcome-focussed, modern services, which promote people’s wellbeing, place them in control of their own lives and ensure that they are valued members of their communities. To support this ambitious approach we have recently launched our new Five Year Strategy – We Dare! Two little words with one big ambition! We have committed to working with sector experts and partners, working with communities and those who live and work within them and to continue campaigning on the key issues that matter the most. The next five years will be incredibly exciting as we look to grow and develop our organisation for the next 30 years and beyond! Community – Our charity supports people to overcome their challenges and live full and happy lives. We ensure that the people we support are in control of their lives and are enabled to follow their hopes, dreams and aspirations. Integrated services - We try to break down barriers by bringing people and professionals together, to provide joined-up support. This means being an effective partner to commissioners and attentive to the needs of the communities we work in. Care - Community Integrated Care is privileged to employ 6,000 people who don’t just work in the care sector, but part of a family that deliver the most inspirational care and support across the country. The special characteristics of our charity are summed up in three words that define our charity – People, Passion, Potential. Our values are our ambition – We Inspire, We Deliver, We Aspire, We Respect, We Enable – WE DARE! This role will report to the Director of Business Development and you will lead on regional development initiatives, partnership activities and innovation proposals, in a mission to deliver excellent, customer focused and cost effective solutions and viable growth options across the region. You will have a strategic overview of all regional partnerships, be instrumental in progressing key relationships, seek potential new fruitful partnership opportunities, and work collaboratively across teams to develop a coherent approach to partnership development and relationship management across the organisation. The successful candidate will be educated to degree level or above in a Business related subject and have experience of working at senior level in a complex organisation. He / she will have broad experience of working jointly with partners in the NHS, local authorities and other providers with a proven track record in design and development of new services. You will be an effective leader with the ability to develop internal and external relationships and networks as well as the ability to deliver change using a range of influencing, negotiation and facilitation skills. We hope that you have found the information on this site both useful and informative. Should you wish to have a confidential discussion about the role, please contact Catriona Mackie at Aspen People on 0141 212 7555. For any process queries contact Kelsey Sinclair on 0141 212 7555. To apply, please upload an up to date CV and supporting statement expressing why you are interested in this opportunity and your suitability via the link here. Please note that you will receive an automatic acknowledgement of your application - if you do not receive this please contact Kelsey Sinclair.